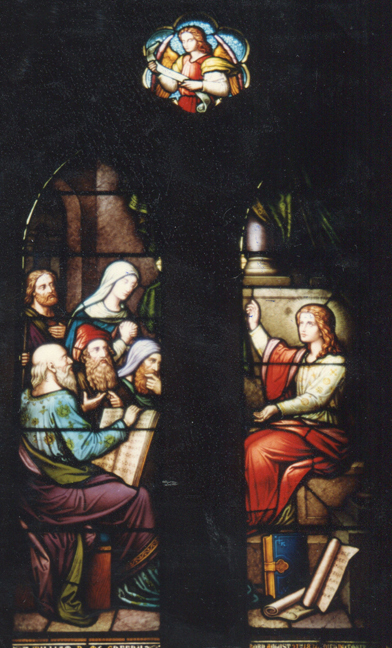 Brief Description of Subject: Jesus sits with books and scrolls at his feet, three elders listen. Mary and Joseph stand behind them. Rosette above depicts archangel Uriel with scroll.